Tara Sue Sharp dotes over a skillet of mushrooms. She sips a cannabis oil-infused mocktail as she readies a meal for a small group of guests. Even though Sharpe has cooked these farm-to-table mushroom tostadas dozens of times before, she’s extra careful now as she adds the key ingredient: a tablespoon of homemade cannabis oil slowly drizzled over over the already-simmering vegetables. As the force behind PotLoveDinners, based in Framingham, Sharp and her partner Jon Yvon are one of a growing number of entrepreneurs that have built pot-adjacent businesses in the wake of marijuana’s legalization in Massachusetts. 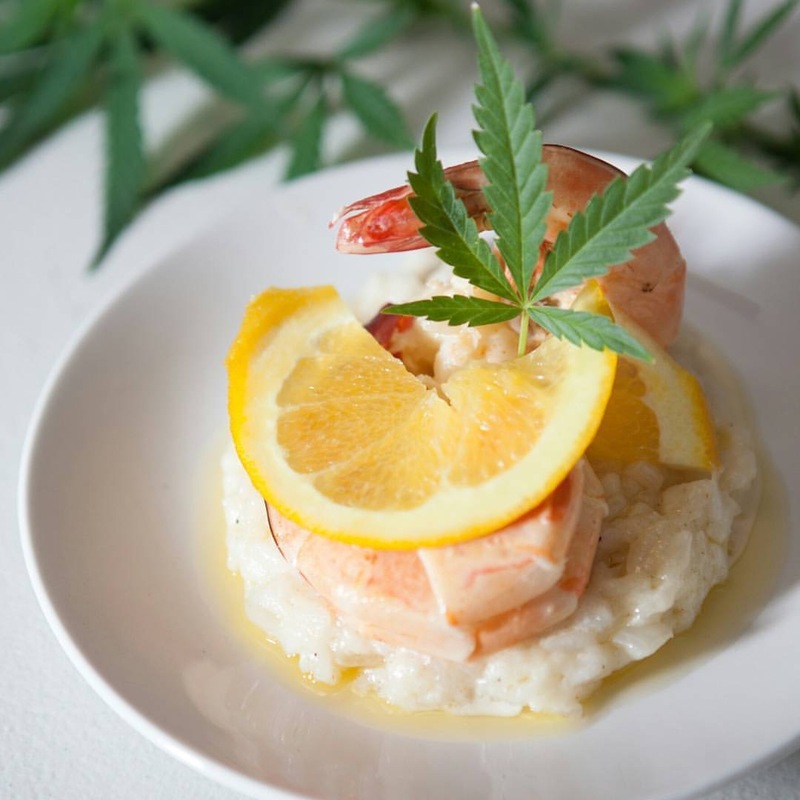 Infused dinners in particular have made a splash in greater Boston, as local private chefs attract curious diners by pairing inspired dishes worthy of "Chef’s Table" with cannabis and serving them in a safe space. “We drew inspiration from the love of the cannabis plant, changing the stigma around consumption, and cuddling up in bed watching 'Bong Appetit,' ” said Yvon. Chefs use oils, butters, tinctures and terpenes to infuse dishes with (usually) low doses of THC (tetrahydrocannabinol, the primary active ingredient in cannabis, which makes users feel “stoned”), and/or CBD (a non-intoxicating cannabinoid) so diners can achieve their desired high throughout the multi-hour meals. Pushing far beyond the cliched edible fare of weed brownies, local cannabis chefs put food first: a country pork terrine wrapped in speck, presented alongside bread and butter pickles and a medicated asparagus puree; or a Georges Bank scallop crudo topped with lacto-fermented red onion, lime juice, toasted pepitas and CBD tomato salt. 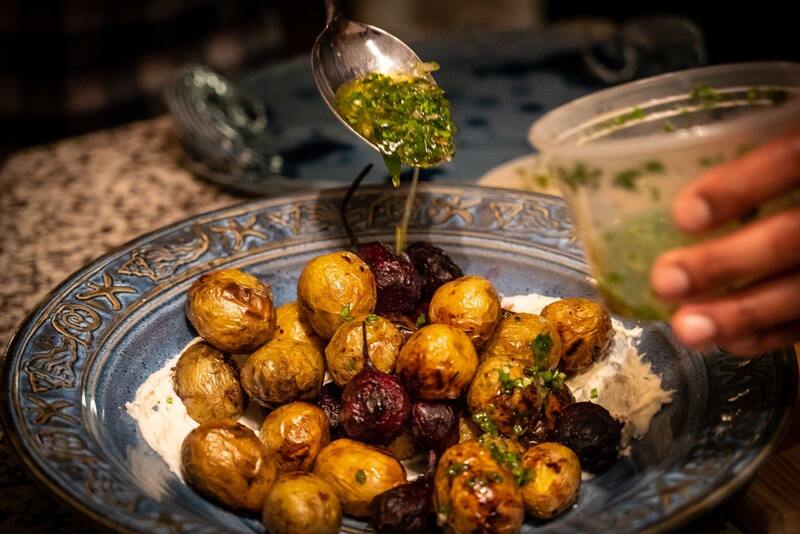 Currently, the Massachusetts Cannabis Control Commission's (CCC) adult-use regulations prohibit on-site social consumption, so infused dinners exist in a legally gray area in the state. It is legal to gift cannabis, but it’s illegal to do so in conjunction with the sale of another item. To get around this, many of these new businesses operate as dinner party organizers, cooking in private homes as hired chefs for members or as part of larger events. 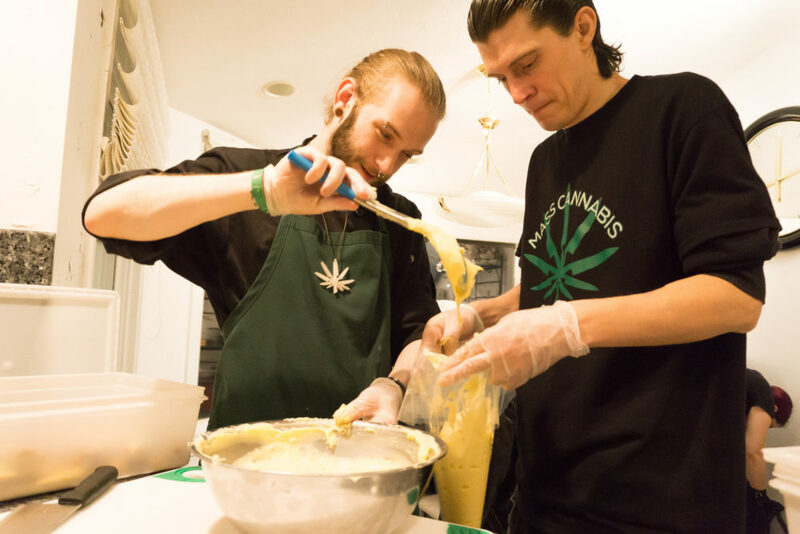 Mass Cannabis Chefs Joseph Nelson and Patrick Mulcahy started hosting infused dinner parties the day cannabis became recreationally legal in Massachusetts in December 2016 and utilize a sponsor to provide their “gifts.” Other businesses, like Euphoric Food, rely on hosts to provide cannabis. In many cases, there’s no membership fee, but tickets for dinners can range from $60 to $200. The rollout of recreational marijuana dispensaries has been slow — 10 of the 39 provisional licenses for retail approved by the CCC have opened as of March 15. After some early pushback from the governor, police and health officials, the commission has recently started looking at social consumption — a working group began in October, and public listening sessions are being held this month. According to CCC commissioner Shaleen Title, final regulations could be unveiled sometime in June, but they may not cover pot dinners yet. For the most part, the legal marijuana business in the U.S. has been dominated by big business investment, leaving out communities of color who historically have been disproportionately punished for marijuana possession. (According to the CCC, only two of the 118 provisional licenses have been issued to minority-owned businesses.) With a far lower start-up cost, infused dinners and events like it have provided a space for smaller and more diverse businesses to sprout. Dope Dinners co-founder and chef Ed Hunt started the business with his wife a year ago. He said infused events are one of the few spots in the industry in which the little guy is flourishing. “We’re a minority-owned business and education and advocacy are central to the work we do as well,” Hunt said. “It’s important that we focus on social equity and make sure that the communities that have been most harmed by the war on drugs are included in reaping the benefits now. 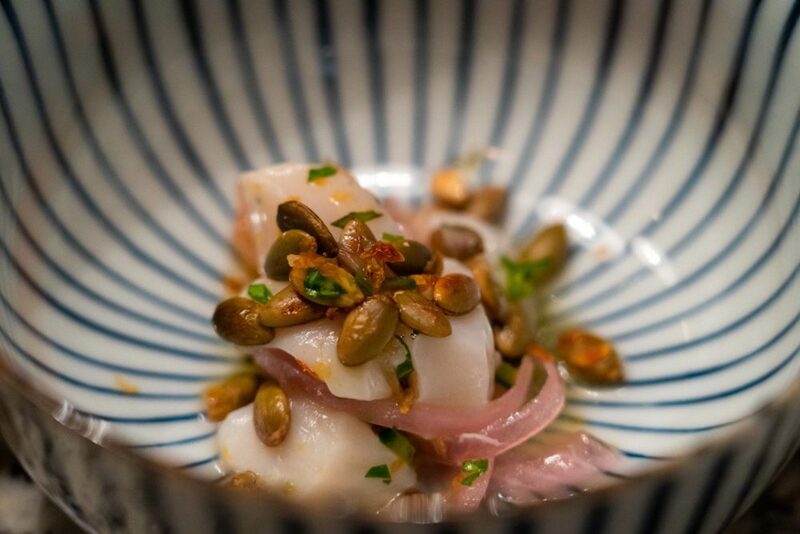 Part of what is great about curating these unique dining experiences for people, is that it creates opportunities to engage in conversations that help break through old stigmas that still exist around cannabis." 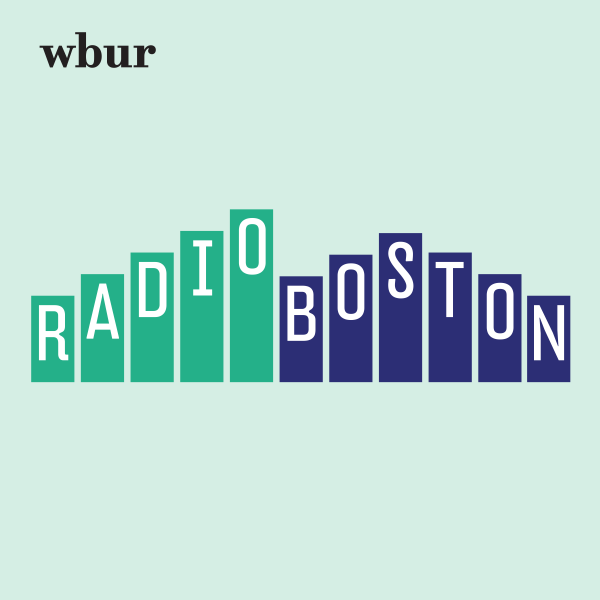 Despite the lack of guidance from the CCC preventing them from expanding their business, Mass Cannabis Chefs' Joseph Nelson said he thinks the dinner parties will continue to grow in popularity and change the way people see pot. Dana Forsythe writes about art, comic books and culture for The ARTery.